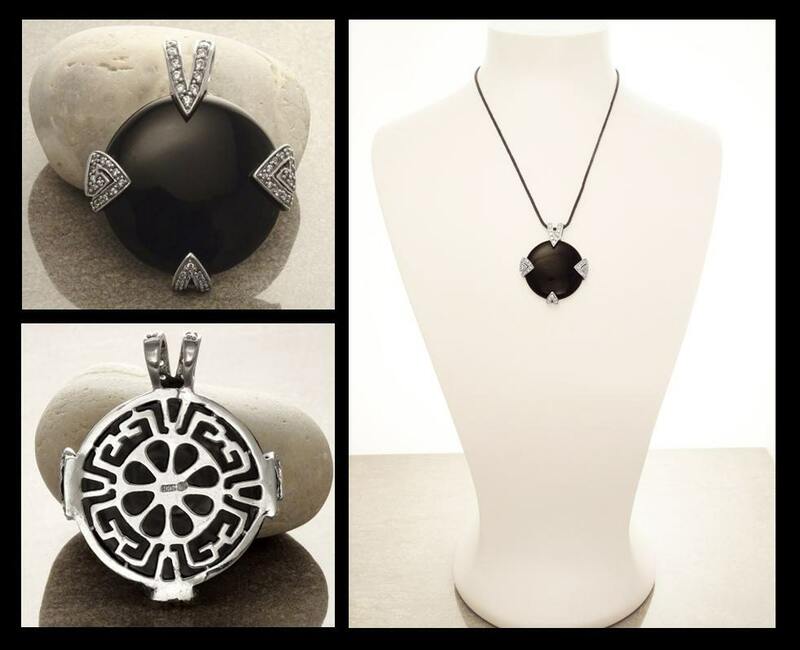 Intricate and Elegant in design this Retro Pendant set with A majestic Black Onyx Gemstone and Lab Diamonds is absolutely Gorgeous. 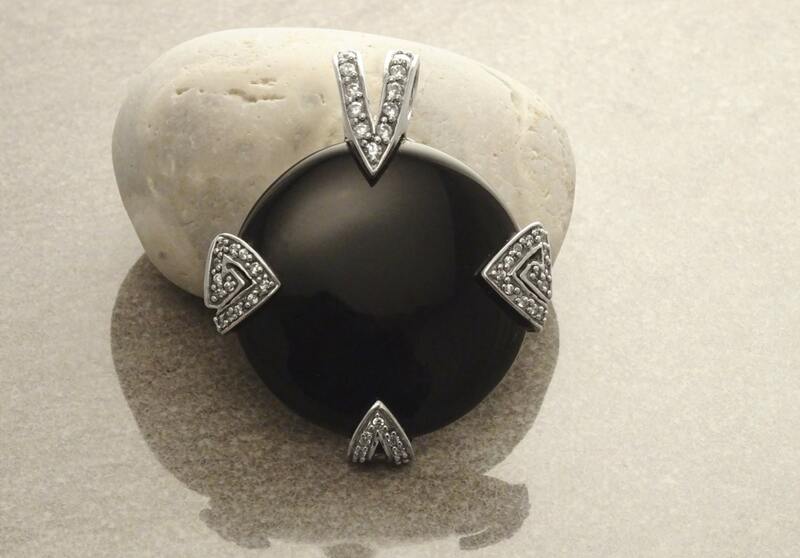 ◆ ONYX Gemstone Diameter is 3.4 cm. ◆ Average silver weight : 9.2gr. 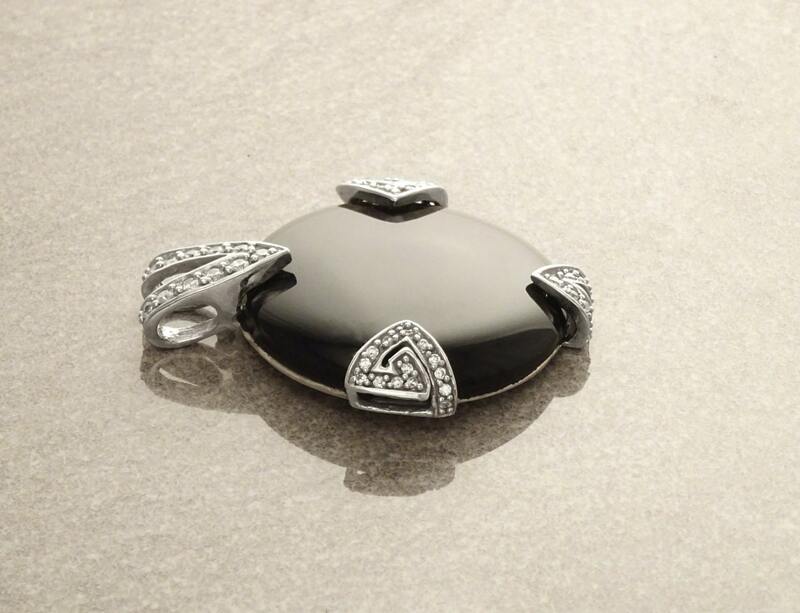 * Pendant can also be done with Mother of Pearl. Very chic ! A versatile piece for every day. 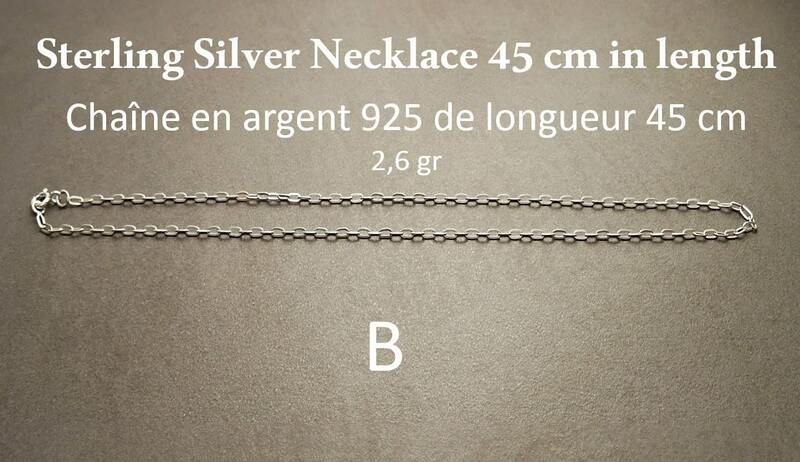 Pendentif très joli et qui fait beaucoup d'effet. Looks just like the picture - lovely! It's shiny, not matte! Great store, incredibly fast shipping, beautiful and thoughtful packaging. I ordered the silver chain with this and the chain is lovely as well! I wish it was longer, but that's personal preference. I love this item and this shop!